QW Direct, in partnership with Qwrist proudly offer Silicone Wristbands in discounted bulk runs with FREE delivery to your door. 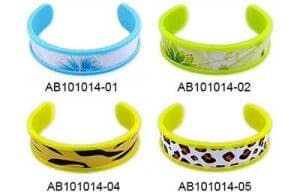 Our silicone wristbands are very affordable, durable and fashionable. Produced from environmental friendly 100% silicone rubber, these are a fantastic bracelet, hand ring, wrist ring or stylish band. The best news is you can print just about any logo design over almost any silicone wristband colour. Your logo can be printed, recessed (engraved) or debossed (raised) for that 3D effect. The colours for the band, logo & lettering can chosen from our PMS Color Chart. 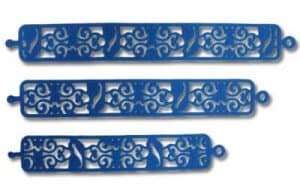 Your silicone wristband design is totally open to your imagination! The available creative design opinions include Standard Silicone, Scented Wristband, Glow in the Dark Wristband, Fluorescent Wristband, Mixed Colour Wristband, Spray Logo Wristband and Swirl Logo Wristband. Available accessory options include USB, secure enclosure holder & metal logo. Adult size: 68mm diameter, 202mm circumference X 12mm width X 2mm. Kids size: 55mm diameter, 180mm circumference X 12mm width X 2mm (suitable for children up to age 8 to 10). We don’t have an absolute character limit, but rather a limit on what we can physically fit on the band. Normally 10 – 15 cm wide is the upper limit. When we work through the artwork process, we will advise if there are any design issues. We continue to supply our Silicone Wristbands to Australian & international charities, schools, religious groups, youth groups, associations, non-profit organisations and the commercial business sector. Ideal for fundraising, promotional, educational, identity or community awareness / positive development purposes. At no charge the Qwrist creative team will assist to setup up your artwork, to give you a visual interpretation of your design. SW-PR-02Name: Silicone Wristband with printed artwork and multi-colour band. Details: 100% Silicone. Segmental colour band. SW-CLK-01Name: Silicone Wristband with digital clock. Details: 100% Silicone & clock. SW-PR-USB-02Name: Silicone Wristband with printed artwork and USB storage drive. 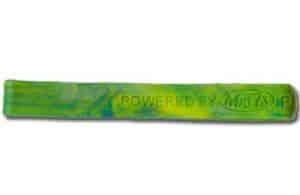 SWCO-30Name: Silicone Wristbands – Stenil Band. Details: Minimum Order Quantity = 500 units. SW-AL-10Name: Printed Aluminum with Silicone Cover. Details: Unfolded Size: 170 x 17 x 3mm. Minimum order quantity: 5000 units. Maximum of 5 colours can be used for the aluminium print.